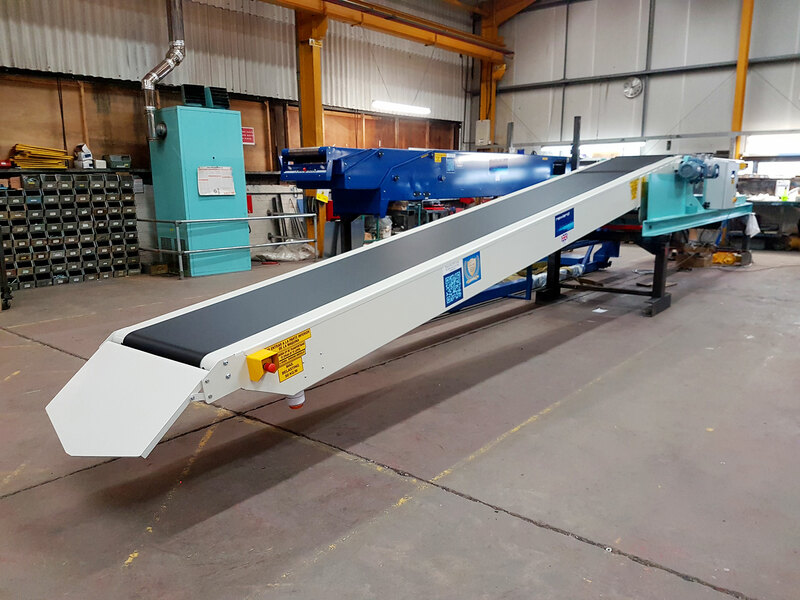 The team here at Newland are delighted to be sending 2 conveyors over to Mexico. One will be an ‘Overhead Feed Conveyor’ located on the upper floor of a mill, 5.5m above ground level, with lower & raise function of +2° / -30° to transport flour bags onto the second conveyor supplied, a Newland telescopic conveyor. The Newland MTC4X, featuring a 15.25m telescopic reach, will be mounted on a high level, powered traversing chassis running on a rear recessed floor rail, as no front rail is required. Once the loading process has been completed, the Overhead Feeder Conveyor will raise into position and the telescopic belt conveyor transverses across the warehouse entrance to allow for general vehicle access. The traversing chassis has also been fitted with steps to give the operators easy access into trailers and containers.